I asked a bunch of my favorite craft and DIY bloggers what cool gifts for women they received or are on their gift list. While we all agreed gift cards to our favorite home improvement and craft stores are always winners, sometimes the people in our lives are looking for new and unique gift ideas because they have gone to the gift card well a little too often. Ironically, most of the gift ideas we talked about I've gotten or given as gifts myself. True story. "The big thing on my Christmas Wish list this year are EQ7 (it is a quilt designing software.)" EQ7's full name is Electric Quilt 7. It has new image effects and filters you can use to design quilts. It also has 5000 blocks and 5000 scanned fabrics and will allow you to scan your own. If your quilter already has EQ6, consider the Electric Quilt 7 EQ7 Upgrade Program to give them access to the new effect, filters, and blocks of EQ7 and saves a bit on the price of the full new software suite. "A light tent kit/photography studio in a box"
This is a personal addition to this gift list because I got the LimoStudio Table Top Photo Photography Studio Lighting Light Tent Kit in a Box for my birthday last year and use it constantly to take blog photos with my point and shoot camera and my fancy pants digital camera. You might have noticed my blog photos are clearer and not as dark. Using the light tent is the reason why. I like this model because it folds up and has a carrying case when it isn't in use. I also use it to take photos of items I want to sell on Craigslist or Ebay.
" last year, i got the bamboo capture which included Photoshop elements and some other cool software. It allows you to write, draw, etc on your computer"
The Wacom Bamboo Capture Pen and Touch Tablet lets you edit photos on your computer, draw, and digital scrapbook with a pen instead of a clunky mouse on the tablet. I've used tablet for graphics at work and it is handy once you get used to drawing with it. The Wacom Bamboo Capture Pen and Touch Tablet also comes with the software Photoshop Elements, AutoDesk Sketchbook Express and Nik Color Filters 4. "a remote shutter trigger for camera"
If you are a Nikon user I recommend the RFN-4s Wireless Remote Shutter Release for Nikon DSLR cameras. 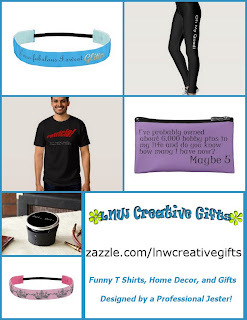 I added a wish from my own gift idea list. "Professor Kobre's Lightscoop for DSLR cameras"
Often the built in camera flash blows out the detail when you are taking a photo indoors and need to use the flash. The Lightscoop fits over the pop up flash on most SLR and DSLR came and acts as a bounce flash to keep the direct flash of light from blowing out the detail of your subject. "I put a jig saw on my list"
"I got a Dremel one year and it has proven invaluable." and "Last year my parents got me a Dremel, which was super cool." Add me to the I got a Dremel for Christmas and love it list too. I recommend buying corded Dremel Rotary Tool over cordless models. Most of the time you need to run your rotary tool for longer periods of time and that drain batteries way too fast. That doesn't happen with the corded model. A Dremel is only as versatile as the number of bits you have for it. I use my Dremel for more projects than I thought I would because I also opened a Dremel 110 piece Super Accessory Kit the same year I got my Dremel. Life. Saver. Do not confuse the Dremel Multi-Max with the Dremel Rotary Tool. They are two different tools that do completely different things. The Dremel Multi-Max has flat blades cutting and scraping, and sanding while the Dremel Rotary Tool uses round. Or the multi speed Milwaukee Random Orbit Palm Sander. Both the Skil and Milwaukee have a dust collection bag (recommended) and can be attached to a shop vac or fancy pants dust collection system which I personally do not have but really, really want someday. If your DIYer does a lot of furniture refurbishing projects, I also recommend the Black & Decker Mouse Detail Sander because the point easily gets into corners to remove paint or stain where the other two types of hand sanders cannot. I use mine constantly. If your DIYer is into brazing, plumbing, soldering, jewelry making, or culinary arts (think creme brulee) then they will like the Blazer Pencil Butane Torch. 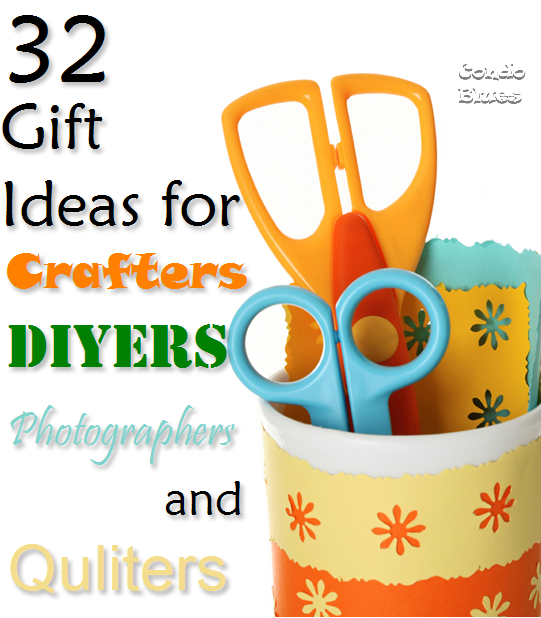 This set of ideas may not seem like a "real" gift if you are not a crafter or DIYer. Not true! 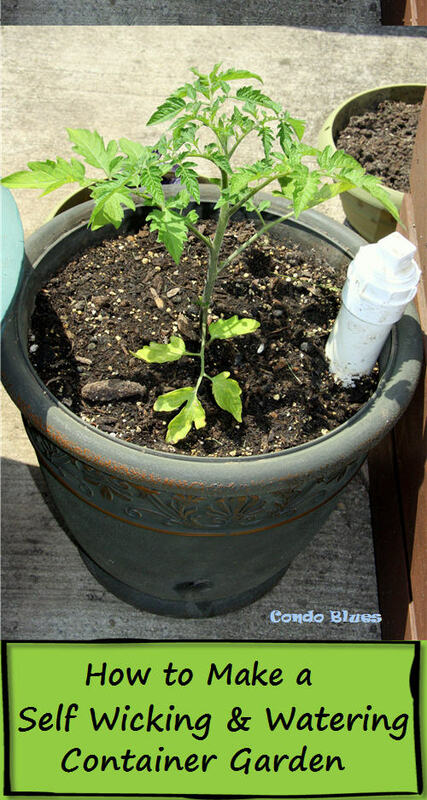 Crafters and DIYers love to make something out of nothing but we almost always need extra tools and supplies to do it. The following suggestions make great stocking stuffers or lump a bunch together in a gift basket and watch their eyes glow when they open it! "Specialty papers.Yes, these are all answers my non-crafty friends get when they ask what I got for Christmas, Mother's Day etc." To save yourself from getting lost in the scrapbooking paper aisle of the store, I suggest giving pads of printed craft paper like the Die Cuts With A View Tattered Time Paper Stack printed papers or Best of Brenda Walton Designer printed papers pad because you get a variety of papers which is generally what paper crafters need and want because they often using several types and designs of craft paper on a project. "I also really love the Westcott Scissor Mouse"
If you use paper, you need to cut it. The Scissor Mouse can cut from the center of paper, move it straight a cross a piece of paper like computer mouse to cut paper, coupons, etc. A great cutting tool if you are prone to getting hand cramps from a regular pair of scissors. "supplies for their favorite tool ( ie a big bundle of vinyl)"
If you and yours uses a vinyl cutting machine to upcycle and repurpose items in order to save them from the landfill this package of 27 Glossy Color Vinyl Sheets will help them do just that. Creative Impressions Tropical Embellishment Kit. If you are not a crafter or DIYer you may not realize what type of embellishments the receiver uses for their projects. In that case, I suggest you play it safe and give books on embellishment techniques. People who love vintage and sew will love Fine Embellishment Techniques by Jan Conlon. Jan teaches you how to give current fashions a vintage look by adding threadwork, beading, trims, piping, etc. Scrapbookers and paper crafters will like The Scrapbook Embellishment Handbook by Sherry Stevenson. This book discusses new ways to add flair to projects using new materials like acrylic and chipboard as well as stickers, stamps, buttons, brads, eyelets, rub-ons, and digital scrapbook kits. Milk Paint is hot in DIYer circles especially for furniture upcycling or remaking projects. It is eco friendly too! If your crafter works with multiple surfaces, I suggest giving them a set of Martha Stewart Satin Paints. I have several bottles of Martha Stewart paint in my craft room. They are indoor/outdoor paint and work on fabric, paper, wood, and ceramic surfaces where other brands may only work on one or two of those surfaces. "I keep my foam brushes in a milk glass pitcher. Whenever I look at it, I always think of what a nice gift that would make for a crafter. So, simple, always-used, prettily-packaged craft supplies would be a welcome gift for me, I agree with the foam brushes." Some crafters go through foam brushes constantly. Give a package or two of the 50 Piece Woodstock Foam Brush set and watch them go wild. "spray paint!! Would love a basket full of that stuff!!" This might sound weird to you but as a DIYer with a spray paint collection, I love this suggestion! I couldn't find gift baskets full of spray paint, but Amazon sells Krylon Fusion For Plastic Spray Paint in sets of six. Buy it in their favorite color and wait for the happy reaction. "I'd like a rotary cutter for fabric this year." Buying a fabric rotary cutter is just like buying a cheap pizza cutter - you get what you pay for and it barely cuts anything. I like the Olfa Deluxe Rotary Cutter because it cuts up to eight layers of fabric and is tough enough to use in industrial sewing. Etsy shop owners and heavy duty sewers/quilters this is your rotary cutter! The blade self retracts into the handle after use and my sliced finger tips wish I had this cutter. "a new large rotary mat (mine has seen better days)"
To extend the life of their rotary cutter, table, and mat, give them the OLFA Self-Healing Double-Sided Rotary Mat. This large 24 inch by 36 inch rotary mat has measurements and grid lines printed on it which is super helpful if you replace your ruler while cutting on a rotary mat. Not that I would know anything about that. I've been sewing since I was five years old and only recently started playing with the different feet that came with my sewing machine. I cannot tell you how much easier it is to hem using a hemming foot! Here are two sets of sewing machine feet that appear to fit on any sewing machine. "I want a pair of those adjustable scissors from Westcott. You can loosen or tighten the screw in them to allow the cutting of very fine or very thick fabrics." The official name of the scissors is the Westcott ExtremEdge Adjustable Tension Titanium Bonded Scissors but I agree with our crafter and call them super cool adjustable scissors . According to Westcott you can adjust the tension to cut thick items like cardboard to thin wispy fabrics. "I'd love a big fabric cutting table too haha!" Most home sewers do not have cutting tables because they take up too much space in the workroom when you aren't using them. The Sullivans Home Hobby Table solves that problem by folding flat and being able to wheel it into a corner between uses. If you throw a tablecloth on it, you get an extra buffet or snack table for holiday entertaining too. While some of these gift ideas may seem strange to you, your crafter or DIYer will think it is a "real" gift and it will make them dance like a kid on Christmas morning! I think though, my favorite is the light scope. Sometimes I hold a piece of light linen over my flash to help prevent the blowout, but it doesn't always work! Thanks for the list! 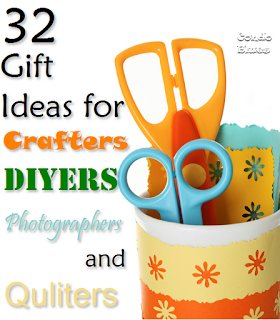 I have lots of crafters in my life so this might help with my Christmas shopping.